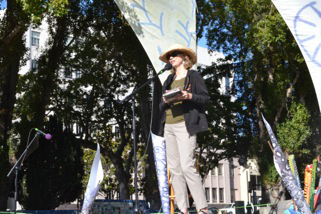 THIS YEAR'S WATERSHED Environmental Poetry Festival, rolling right toward us on Saturday, September 26, noon to 4:30 in Berkeley's Civic Center Park, Martin Luther King Jr. Way at Center Street, flank to flank with the Ecology Center's tasty, busy Farmer's Market, will be the twentieth, two round decades of eco-mindfulness, of standing up for the Earth with poetry and music and cutting edge environmental thinkers. 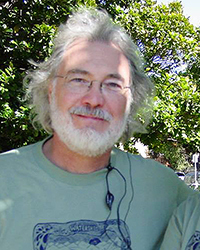 Sadly, this will be the first year without Watershed's Director and co-founder, Mark Baldridge, who died on December 27 last year. This year's festival is dedicated to Mark, our eco-captain; we'll read some poems that were written for him and remember him heartfully, more than with sorrow, because he was a strong, high, funny, guy. Poets Gerald Fleming, Maya Khosla, and Kirk Lumpkin will read in that tribute. 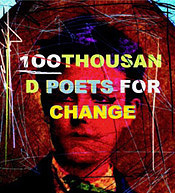 Watershed will be part of 100 Thousand Poets for Change, singing in a chorus of poetry events happening nationally and internationally on this same day. And as last year, the cooking Barry Finnerty Trio, Barry on guitar, Peter Barshay on bass, and Ron Marabuto on drums, will be making music throughout our day. Robert Hass, spiritual founder of the festival, who conceived the idea for Watershed during his term as U.S. Poet Laureate, 1995-97, will be among this year's headliners. Winner of the Pulitzer Prize and the National Book Award for his collection Time and Materials, his newest book of poems is The Apple Trees at Olema: New and Selected Poems. 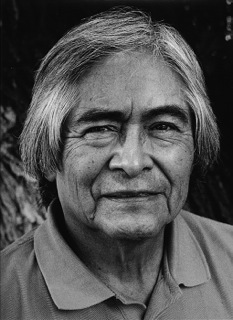 student notes "Virgil really cares"
Simon J. Ortiz, the major Native American writer, will be with us this year, his first reading in the Bay Area in over ten years. Poet, fiction writer, essayist, storyteller, professor of Creative Writing at Arizona State University, he's published many books of poems, including Out There Somewhere, After and Before the Lightning, and Woven Stone; his short stories are collected in Men on the Moon; his work is anthologized in Allison Hedge Coke's Sing: Poetry from the Indigenous Americas and elsewhere. Among his many honors was his invitation to the White House Salute to American Poets and Poetry. we are one self in the canyon. and to the heavens within. John Shoptaw, from UC Berkeley, will be reading from his debut book of poems. Times Beach, winner of the Notre Dame Review Book Prize, is a collection of amazing scope and rolling magniloquence, a combination of personal memories of growing up, picking cotton in the Missouri 'Bootheel' and of the eco-history of the Mississippi watershed. You towed your sack behind you, six to ten feet. Longer than your shadow, then just as long. You fed it till it weighed as much as you. beneath the wagon. But there would be singing. Francisco X. Alarcon, most joyous of the joyous, most active of the Chicano activists, great lover of the Earth and her creatures, will be shining this year. 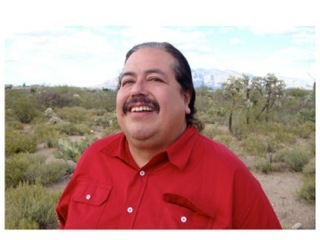 His two new books of poems, both bilingual, are Canto hondo/ Deep Song and Mariposas sin fronteras/ Borderless Butterflies, Earth Haikus and Other Poems. 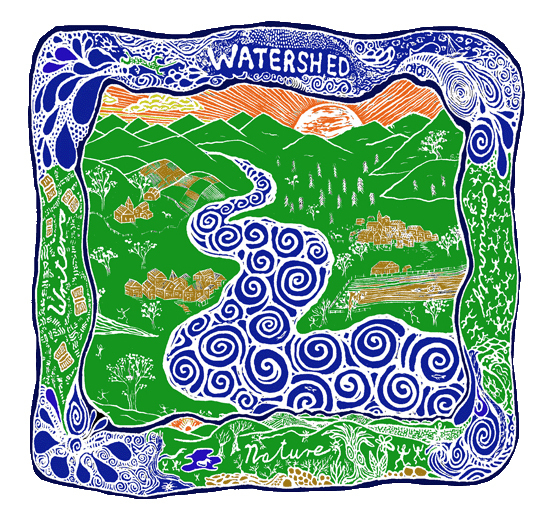 Jane Mead, too, will be reading at Watershed for the first time. Her last two books of poems, The Usable Field and her new Money Money Money Water Water Water are set on the family grape-growing property she manages. That property gives her a poetic base for thinking the economics of water and for much else, mordant wit, creaturely love, the sadness, transience, and musical richness of our life. the living do not know it. 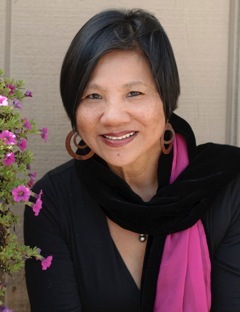 The dynamic Genny Lim, poet, playwright, and performer, will be back with us. Her new poetry collection is Paper Gods and Rebels. Noted for the power of her imagery, the power of her voice, ranging through war, exile, displacement, and loss, she'll perform with the Barry Finnerty Trio, rock, roll, and move us. We'll be having two key environmental thinkers this year. The great Malcolm Margolin will be with us, Berkeley's charismatic wiseman, author of The Ohlone Way, founder and publisher of Berkeley's iconic Heyday Books, the man who reminded us of what the Bay Area was, the people and the place before we steamrolled and sprawled in with Western technology, the man who can help give us spark and moral balance to perhaps feel our way to a better future. 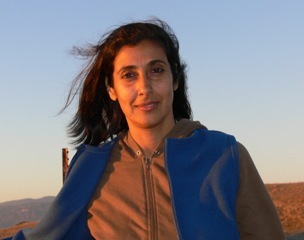 Novella Carpenter will also join the festival. Co-author of the new book The Essential Urban Farmer, author of Farm City: The Education of an Urban Farmer, she is a blogger, a memoirist and an enricher, a thinker to help fertilize and green our urban environment. 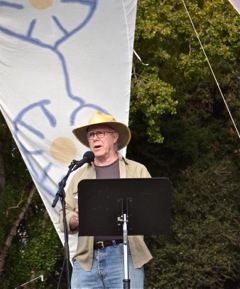 As always, the intrepid, inspiring performance poet and naturalist Chris Olander will lead the Strawberry Creek Walk and its poets. This year's Creek Walk poets are Mk Chavez, wildlife biologist, poet, and writer Maya Khosla, poet and physicist J. David Cummings, poet and letterpress artist and printer Theresa Whitehill, and Seattle poet and climate activist Emily Johnston. They and Chris will meet with all interested walkers at 10:00 am to noon for the poetic tour of the Creek, our tutelary waterway, and back down to the festival grounds. Later in the day, they'll all read from the stage. 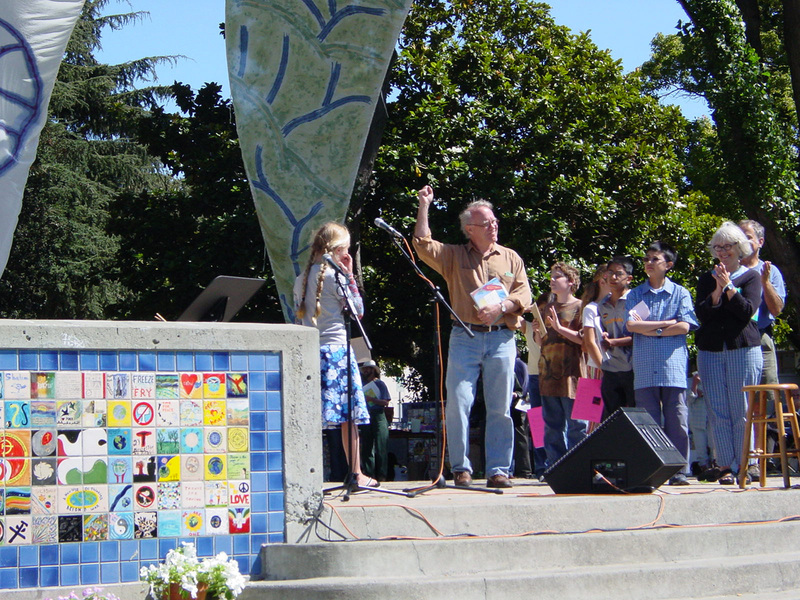 As always, we'll have our astounding, enchanting reading of children poets from California Poets in the Schools, lead by poets and teachers John Oliver Simon and Maureen Hurley. As always, we'll open up to you, our poets in the audience, in the "We Are Nature" open mic, six three-minute spots chosen from the larger pool of names of all those who choose to put them in our open mic basket. To enter the lottery drawing, be there by noon. And as always, the festival stage will face out into the wide semi-circle of River Village, our Watershed exhibitors which this year will include Poetree Interactive Writing with Sharon Coleman, Milvia Street Art and Literary Journal, Haight Ashbury Literary Journal, Pandemonium Press, Sixteen Rivers Press, St. Mary's Creative Writing MFA Program, Heyday Books, Reed Magazine/San Jose State University MFA in Creative Writing, UC Berkeley's Words of the Watershed Journal, Sugartown Publishing, Poetic Matrix Press, and much more. Come join us for a beautiful, mindful, soulful day, and help us stand up for the Earth!